Lock in a great price for Daiwa Roynet Hotel Kyoto Ekimae – rated 8.9 by recent guests! Staff are very friendly & helpful! Hotel room is comfy & cosy, love the simple design & practical! Local is the BEST!!! will definitely come again!!! 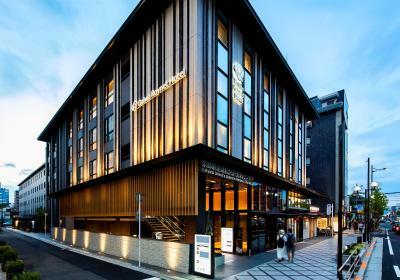 The location is 5min walk from Kyoto Station, but it is far from Gion and 先斗町，so if you want to have hype night life, you should choose a hotel in Gion area. If you a traveling for biz and want to focus on your job, this hotel is good. Hotel is convenient to reach not far from station.Staff are friendly. Location was perfect, 5 min walk from train station Close to lots of little cafes and restaurants. Any request such as suggestions where to eat or when we asked to store bags for us the reception ran to assist us. Was really appreciated. The location was great, in the center of everything. The food in the resterant was not to my american taste. Great location close to Kyoto station, center of transportation. Room and bathroom are good with unique Japanese style pajamas. Staff is friendly and helpful. Great location near the train station - could get there underground so very convenient for trips outside Kyoto. New hotel so nice and clean. Room larger than many hotel rooms at same price. Efficient laundry room - could monitor from room tv. Great bathroom with rain shower and soaking tub. It was in a very good location, with access by passageway from subway and Kyoto Station. The hotel was stylish and aesthetically pleasing. Bathrooms had modern features such as showerheads directly overhead. Staff were pleasant and courteous. I have stayed in four different hotels on previous trips, all of good quality. This hotel would be my first choice on a return visit to Kyoto. Daiwa Roynet Hotel Kyoto Ekimae This rating is a reflection of how the property compares to the industry standard when it comes to price, facilities and services available. It's based on a self-evaluation by the property. Use this rating to help choose your stay! One of our top picks in Kyoto.Newly opened in August 2016, Daiwa Roynet Hotel Kyoto Ekimae offers accommodations with free WiFi. 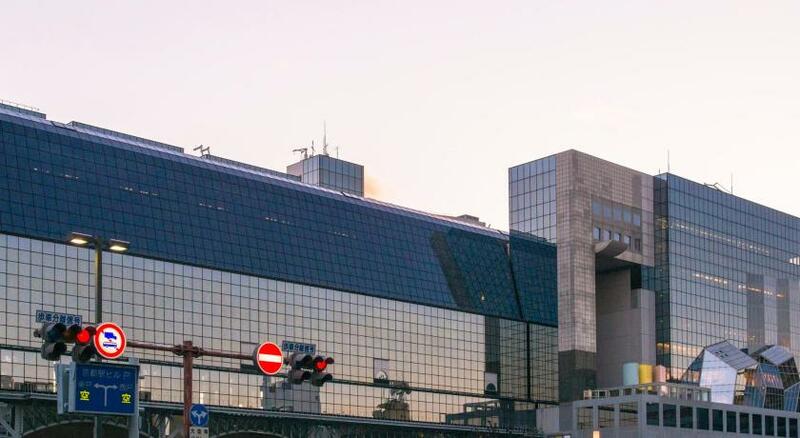 The hotel is directly connected to JR Kyoto Station and a 4-minute walk away. Laptop rentals are available for in-room use. Kyoto Ekimae Daiwa Roynet is a 15-minute walk from Toji Temple and a 20-minute train ride from Fushimi Inari Shrine. Kansai International Airport can be reached with a 105-minute bus ride from the property. Nishi and Higashi Hongan-ji temples are respectively a 15 and 10-minute stroll from the hotel. The air-conditioned rooms feature a trouser press, a fridge and an electric kettle with green tea bags. Guests can enjoy the video-on-demand system on the flat-screen satellite TV. The bathroom comes with a hairdryer and toothbrush sets. Both WiFi and wired internet access are available in all rooms. Bath amenities are provided. A coin-launderette is on-site and dry cleaning services are offered at the 24-hour front desk. Wheelchair rentals and photocopying services are available as well. Guests can purchase beverages from the drinks vending machine on site. When would you like to stay at Daiwa Roynet Hotel Kyoto Ekimae? This air-conditioned room features a trouser press, a fridge and an electric kettle with green tea bags. Guests can enjoy the video-on-demand system on the flat-screen satellite TV. The bathroom comes with a hairdryer and toothbrush sets. Both WiFi and wired internet access are available in all rooms. Bath amenities are provided. Hotel surroundings – This neighborhood is a great choice for travelers interested in temples, sightseeing and history – Check location Excellent location – show map Guests loved walking around the neighborhood! House Rules Daiwa Roynet Hotel Kyoto Ekimae takes special requests – add in the next step! Daiwa Roynet Hotel Kyoto Ekimae accepts these cards and reserves the right to temporarily hold an amount prior to arrival. Somehow we’d been allocated a very small double room for 3 people -myself and my 15 & 11yr old boys. The booking.com form said one room for 3 people (with ages listed) so I’d assumed it would be a double with an extra pull-out bed. Apparently the hotel don’t have rooms which sleep 3 though, so they’d put us all into a small double. I don’t think it should have come up as an option on booking.com. The hotel was fully booked but after seeing the room and having some debate at reception, the only option was to pay extra to upgrade to a twin room and push the beds together giving us more overall space. Not ideal for a 4 night stay...luckily the little one didn’t mind having the middle too much. Overall, the hotels fine - very standard and corporate though, nothing to make it stand out. Good location for the station, clean. Friendly staff. Again location was key, staff at reception super helpful with good recommendations for restaurants. Room size decent given this was in Japan. If the room cleaning service can have some flexibility will be even better! Now is either no cleaning (with complimentary water & eyes mask) or full cleaning. Prefer can choose not to change towel & bedsheets & do vacuum only. Very small room but still manageable for two people. Silly washing machine that was supposed to also dry but didn’t. Very helpful staff. Great location. Clean. Good breakfast. Room size is too small. The rate is pricy. Location. It is in central area of Kyoto station. It lets children share bed with adult which potentially saved us 1 room. Big bathroom with bath tub and shower in a separate room. A long couch and a cabinet are great for bags and clothes. Believe these stayed in Japan hotels would appreciate some additional space for bags shoes etc. 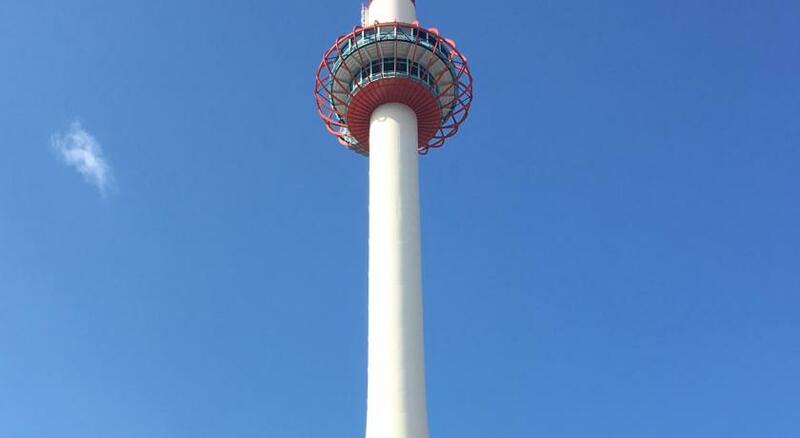 Location is great, close to Kyoto station. But we still take taxi which cost us only 570 yen for 4 people including two children. Smoking room was given although I don’t recall reserving a smoking room. Very helpful and friendly staff. Clean and modern hotel. Handy to train station.